With its hulking dimensions and sleek design, the Breville YouBrew BDC600XL suggests a quality morning cup. But with a price tag of $250, the buzz of the bells and whistles wears off quickly, and you may be left with a bitter taste in your mouth. Let’s be clear: This machine looks impressive. From its size to its gun-metal exoskeleton, it’ll make you want to call your first morning pour a Robocup. It’s over 16″ tall and boasts a teched-out LCD screen, sure to steal the attention away from that old, rusty electric can-opener you got sitting next to it. Blue LED-lit buttons encircle the screen, and your sci-fi fantasy look is complete. The lid even opens and closes in slow-mo, folks. As for its functions, it’s got a burr grinder built-in, which accounts for most of its girth. 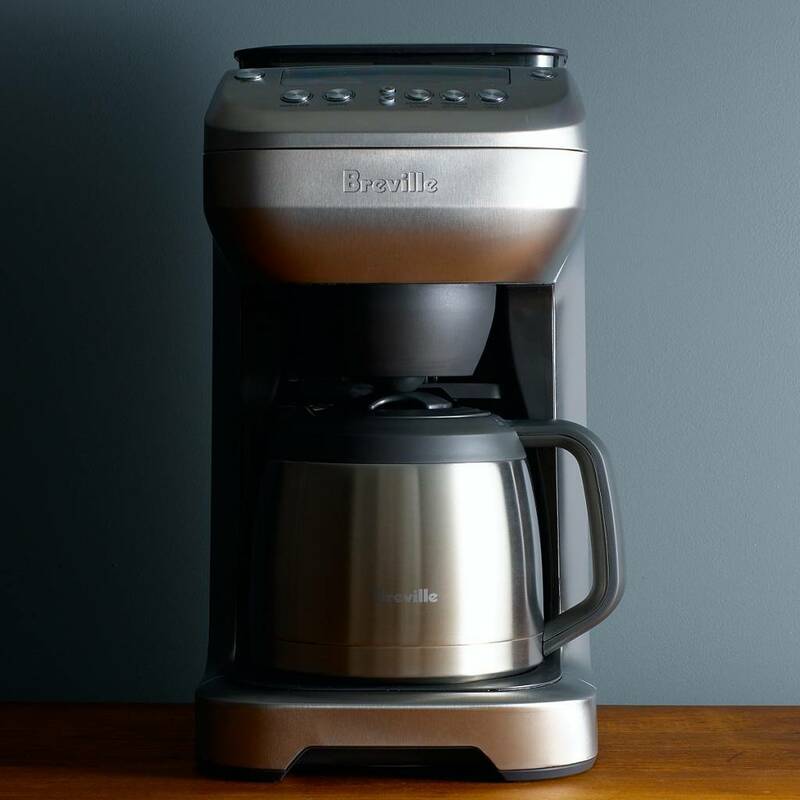 The Breville YouBrew BDC600XL can grind up to a half-pound of coffee beans at a time. The front screen displays how much water is in the tank, and if you put too much in the reservoir, a little alarm will sound to let you know. You can brew anywhere from a single cup to a 12-cup pot. But the most impressive feature of this behemoth is that it allows you to choose the strength and overall flavor of your coffee. So, for a relaxing evening sip, you can click on your “mild” strength setting, assuring yourself you’ll be able to get to bed on time. Well, “sweet” is definitely not the word I’d use. But I’m getting ahead of myself. I mentioned before about its size. I’m not opposed to large appliances, especially when they look as slick as this bad boy. But, at 16″, it was too tall to fit under my kitchen cabinets, where my old coffee machine sat. I admit, my cabinets are hung a little low, but I still must note that the sheer size of this thing created an immediate problem for me. And this model needs constant cleaning. After every brew I found myself having to sweep out the bean debris just so the hopper tray wouldn’t get stuck when I tried to open it. I don’t know how you feel first thing in the morning, but cleaning is never something I wake up excited to do. Breville does encourage you to clean this product every two-to-three weeks, but I found it needed to be done a lot more often. But the YouBrew BDC600XL’s true fall from grace is the taste of the actual coffee once brewed. The other issues MIGHT have been forgivable, if only this stainless-steel contraption of gadgetry and brawn could have yielded me a decent cup. And yes, I tried every setting. All seven strength options. All five flavor choices. Every one of them, bitter. Not only that, but it seems this device is wasting too much energy lighting it’s screen to properly heat the coffee. I’m not saying it was cold, but it wasn’t in that sweet spot, betwixt 200 and 205 degrees. We were somewhere around 190. Patience will also be required of its patrons, as it takes roughly 8 minutes to brew, and that’s after 2 minutes of grind-time. So what do we have? The latest in cutting edge, Ironman-esque eye-catchery? Sure. A mechanical morning menace certain to gridlock your routine with needless cleaning, waiting, and cursing your mug for it’s flavorless, lukewarm joe? Also true. And let us not forget, this thing costs $249.99, plus tax. Overall, there may be other coffee brewers in the market that can outperform the Breville YouBrew BDC600XL. 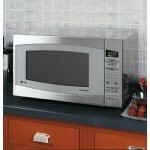 GE Profile Series 2.2 Countertop Microwave Review -- Is it Worth the Buy? If you measured the water at 190, it was much higher than 190 before it came out of the machine. Describing 190 as a lukewarm beverage is nuts. I would literally burn my mouth on that temp. Also, you are blaming the machine for your coffee being bitter….obviously you purchased bitter coffee. If you are not interested in cleaning, excellent coffee is simply not an option….so give up.